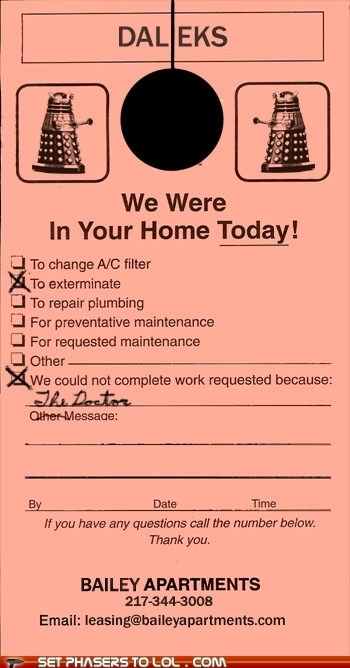 Daleks were in my home today! Posted on February 24, 2012, in OMGHILARIOUS! and tagged doctor who, hilarious. Bookmark the permalink. 3 Comments. Reblogged this on Musings of an Anglophile.